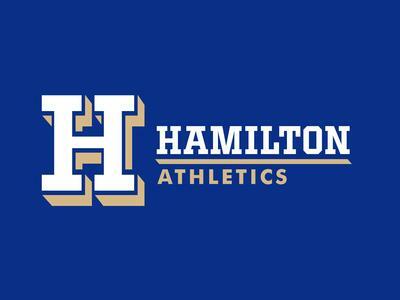 History: Founded in 1793 as the Hamilton-Oneida Academy; chartered in 1812 as Hamilton College; third oldest college established in New York State. Location: Hamilton’s 1,350-acre campus is situated on a hilltop overlooking the picturesque village of Clinton. The College is eight miles southwest of Utica, 45 minutes east of Syracuse, one hour from the Adirondack Park to the northeast and 90 minutes west of Albany. Namesake: Alexander Hamilton, U.S. statesman, first secretary of the U.S. Treasury, member of the first Board of Trustees of the Hamilton-Oneida Academy. Acceptance Rate: 21% of applicants were accepted to the Class of 2022. High School Ranking: 81% of the Class of 2022 ranked in the top 10% of their high school class. Diversity: Students hail from 47 states and 45 countries; 31% of the student body consists of U.S. students of color (24.2%) and international citizens(6.4%). Residential Life: 100% of students live in 26 residence halls. Class Size: 34% of all classes have 9 or fewer students; 75% have 19 or fewer. 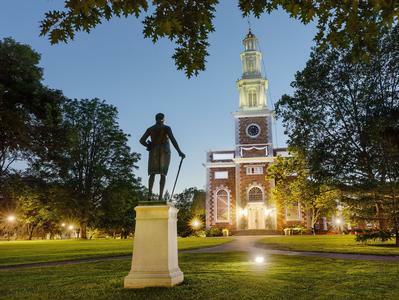 Hamilton does not consider a student’s financial circumstances in its admission decisions (i.e., need-blind admission) and meets the full demonstrated financial need of every student it accepts. Conference: New England Small College Athletic Conference (NESCAC): Amherst, Bates, Bowdoin, Colby, Connecticut College, Middlebury, Trinity, Tufts, Wesleyan and Williams. Notable Alumni: From U.S. ambassadors to corporate CEOs to Tony Award-winning playwrights, here’s a sampling of some noteworthy Hamilton graduates.